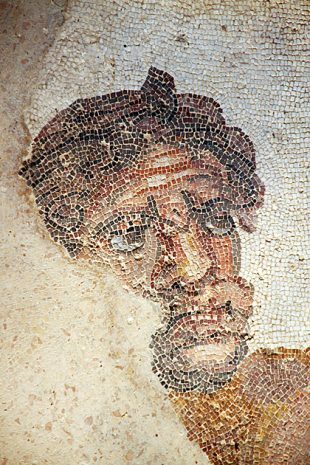 The world’s most comprehensive and exquisite set of Roman mosaics is found in the middle of Sicily, at the archaeological site known as Villa Romana del Casale. The specifics of the villa’s history are largely lost to history, but experts have dated its origin to around the 4th century AD. It’s believed to have been the hunting lodge for Roman aristocrats, possibly owned by Emperor Maximianus Herculius. But there aren’t enough clues to say for certain. A sense of faded grandeur permeates Palermo. 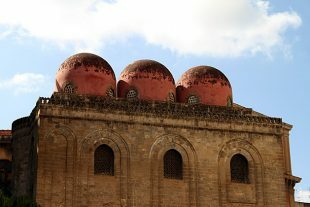 The stately old palaces which occupy nearly every corner are usually shuttered up, damaged beyond repair, or have been converted for use as art galleries. 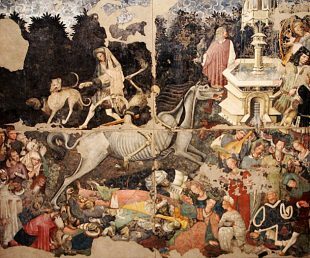 The Palermitano aristocracy must surely have resided in splendor, but they’ve long since left the scene, removing all trace of their easy wealth. Today, in this chaotic and messy city, it’s almost impossible to imagine what life must have been like for them. 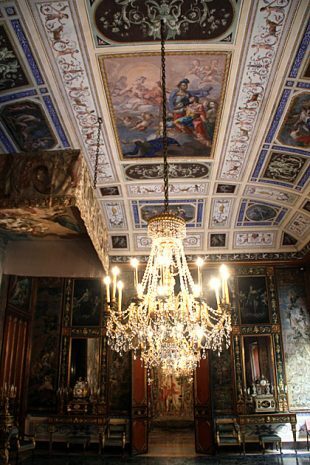 One of the finest palaces in Palermo is the Palazzo Abatellis, found on Via Alloro in the neighborhood of La Kalsa. The massive building is host to the Galleria Regionale della Sicilia, which displays Sicilian art dating as far back as the 12th century. The city of Syracuse is packed with beautiful baroque churches and stunning Greek monuments, still standing in defiance of the centuries. But the building which dominates the city’s skyline was built just seventeen years ago. 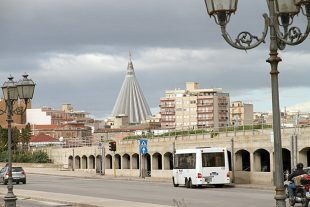 Say hello to the Santuario della Madonna delle Lácrime. Sigh. They just don’t build them like they used to. The Piazza del Duomo in Syracuse is one of the more spacious plazas that we’ve seen while in Sicily, and definitely the most serene. 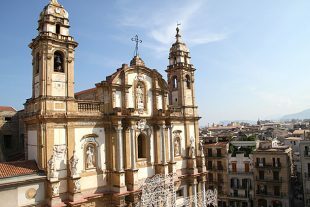 The piazza is framed by gorgeous palaces, churches, cafes and the cathedral, and there’s no traffic to worry about so you can keep stepping backwards to better gawk at the beauty, without having to worry about getting run over. We spent a long, mild evening at one of the bars, drinking wine and silently soaking up the plaza’s beauty. La Zisa was built as a summer retreat by Arab architects in the 12th century for the reigning Norman Kings of Sicily. Its name comes from the Arabic al-Azîz, for “glorious” or “noble”. 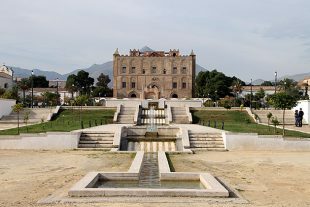 Set in the middle of gardens with the Monte Captuo serving as a backdrop, the Zisa still basically serves its original purpose, providing a nice escape for the residents of Palermo, if not for royalty. 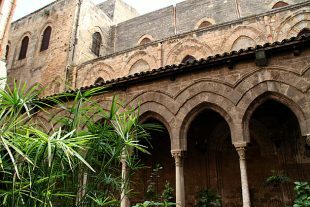 Second in importance only to Palermo’s Cathedral, the Chiesa di San Domenico is a church found in the Vucciria neighborhood. 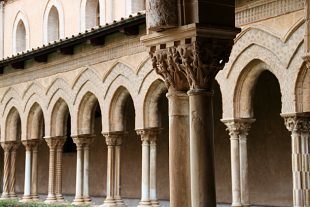 Originally constructed between 1458 and 1480, the church sits away from Via Roma at the back of the plaza that shares its name. 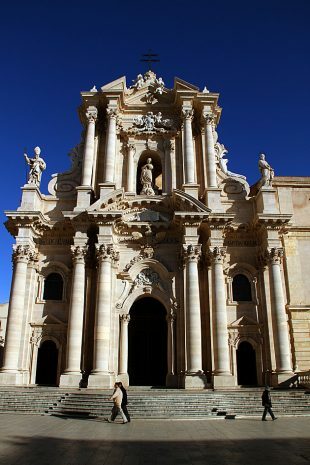 With its impressive Baroque facade and its sheer size, we couldn’t resist taking a peek inside. Entrance to Monreale’s mind-shattering Cathedral was free, so when the ticket lady at the neighboring Benedictine Cloister asked us for €6 apiece, we were expecting to be blown away. Unfortunately, we weren’t.